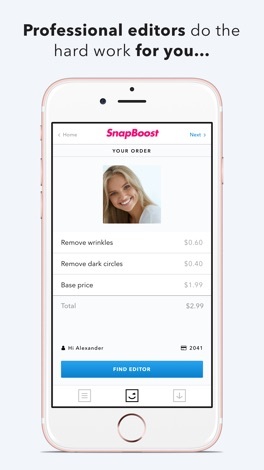 SnapBoost will connect you to real, qualified and experienced photo editors from a trusted pool of workers at the touch of a button. Imagine magazine front cover-worthy photo editing available on your phone, on demand. Why do it yourself when you can have a professional do it for you in as quickly as 10 minutes? 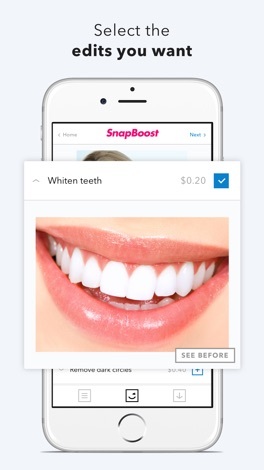 SnapBoost offers professional photo editors at your fingertips. 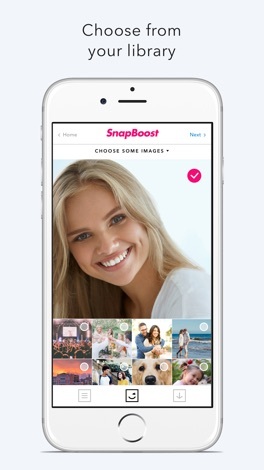 SnapBoost is the secret weapon of professional photographers with a wedding album that needs retouching; online businesses seeking high quality product photography for e-commerce and social media influencers. 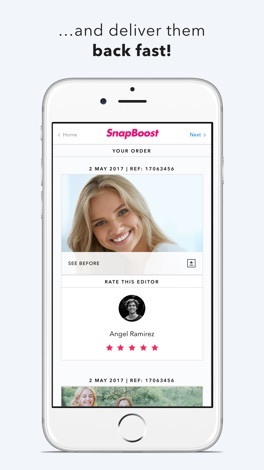 Celebrities have editors working on each photo, but with SnapBoost the professional treatment is no longer the preserve of the A-listers. For the first time, users can access an on-demand pool of skilled photo editors and treat your favourite snaps to a professional’s touch. There is no need to outsource to a retoucher or photo editor or purchase and learn complicated photo-editing software yourself. Upload a photo, choose your edits and let professionals take care of your favourite photos to deliver the highest quality service within minutes. Maybe you want a highly-curated edit of a shot, or you’re looking for a slight retouch. 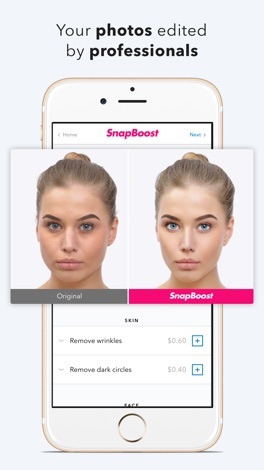 Whatever your photo-editing needs, with SnapBoost you can access professional photo editors and get instant access to a global network of quality retouchers. An assigned photo editor will be guided by your requirements as well as use their expertise to analyse the photo’s properties, such as its colour palette and dynamic range. Some of the photo editing features provided include fixing the face shape, slimming the body, toning features, adding volume to the hair, removing wrinkles or blemishes, whitening teeth, changing eye colour, enhancing lips, removing objects and many more. Food is an essential thing in life, so we should not miss any little heart to dinnerware. Come and play with us.